I will be traveling to Chile and Argentina during the month of March to look at opening a new office down there. I will be in and out of touch during this time, but all of my team will still be here working if you need assistance with something. I really enjoy rock climbing in Malibu Creek. I have been there a couple of times now and just went on Sunday with a guy I had just met at Rockreation Climbing Gym. He brought a couple of his buddies too so the four of us went out there and had a full day of rock climbing. Malibu Creek is really cool because you have to do an unprotected traverse over the creek just to get to the climbing area! I did a few climbs: warmed up with a 5.9 that was interesting because it transitioned from big jug holds to much more bodyweight leaning into the rock at the top with small holds. We then went and did a short overhanging 5.10b climb twice that also had big juggy holds. One of the guys I was with was working on a 5.11a and ended up taking a 20 foot fall! He was fine though since he had a good belayer who made sure he didn’t jerk at the bottom of the rope. I finished off the day with a 5.10a climb that was really fun and traversed my way back to the trail and hiked out. Good times! The interwebs brought me this hilarious video of these walking up to random girls and telling them “Put your number in my phone”. They have a pretty big success rate… only 25% of the girls said no or said they had a boyfriend! I wonder how many numbers were fake. Pretty awesome! LA ladies are lucky I am in a committed relationship lol or they would be feeling very awkward. I love honest plain-speaking businesspeople. Before I started my own company, I was extraordinarily confident in all of my abilities. I firmly believed in my superior skills in almost all areas. What was this belief based on? Not an awful lot – working for someone else in a narrowly defined job position, breezing through college as a finance major at UW, and not having really felt challenged previously. Three and a half years ago, I made the leap to start my own business. Running your own company is a great exercise in humility; experience has been a brutal teacher with a big club ready to smack me every time I make missteps. When you work for someone else, you can focus in on what you excel at. If you are an accountant, you do accounting all day long and you get really good at accounting work. If you are a salesperson, you spend all day talking to people and sending out proposals and build up a lot of talent there too. If you are a programmer, you just pump out code until you can code in your sleep. As an entrepreneur though you must do EVERYTHING and do it at least decently well. Let me tell you – doing all of these different job roles quickly brought quite a bit of humility. In my first year, I was sued by an outside sales contractor who I had fired and because I didn’t have a clear contract I lost a LOT of money. I did my own accounting and taxes and invoicing and discovered that I wasn’t that great at keeping the books. I started out being a pretty poor salesperson and had to hustle hard to get a few piddly contracts. My client management skills were atrocious – I sent no reporting, had no follow up calls, and did not have good scopes of work. Pretty much everything that I had prided myself on I discovered I had a LOT of work to do to improve. The following three and a half years have been a crash course in pretty much everything related to business. And I still have a very long ways to go. Just gotta take it one day at a time. If humanity can survive till 2040, there will no longer be wars. Not because humans have improved to be better people, but because computers will rule the world and will kindly take care of us and prevent us from hurting each other. The student will become the master. Inbound marketing is one of the most powerful ways to drive traffic and even brand loyalty to your business. Blogs, newsletters, informational resources and videos are just a few of the tools that you can use to bring new customers or clients to your proverbial online doorstep every single day. 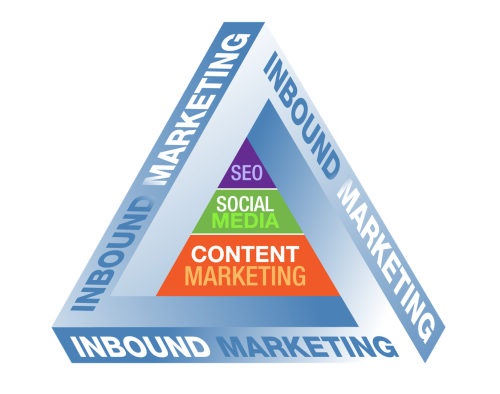 But inbound marketing carries many challenges, and requires a strong game plan. As the founder of a leading Los Angeles inbound marketing company, I have witnessed firsthand how seemingly simple marketing efforts—when properly executed—can bring even fledgling businesses to new heights of prosperity. Inbound marketing is one of the most effective ways to drive traffic, because it brings your target customers straight to you. Whereas outbound marketing is all about overwhelming the public with often unwanted calls, emails and proposals, in the hopes that a few people will bite, inbound marketing gives the people what they already want, thereby allowing for the greatest number of leads. Let’s assume that your website sells power tools. A strong inbound marketing effort might include a blog with helpful How-To guides for using power tools around the house. It might also include a YouTube channel with power tool tutorials, a variety of social media profiles with active user engagement, and a targeted SEO campaign to ensure that your website is easily accessible to web surfers seeking the kinds of products that you offer. When people see your videos, your articles and your site content, they are compelled to buy. They witness the value of your products firsthand, and since they were searching for tool-related content in the first place, you already know that they are interested in power tools. Inbound marketing is also great for small businesses seeking to gain a competitive edge over the big corporations. Using the aforementioned marketing techniques, you can inspire confidence in the public by demonstrating your expertise. For instance, if you own a small tax firm, you can establish yourself as an authority on taxes by providing useful, expert information to the public. This results in greater consumer confidence, and ultimately greater success for your business. Effective inbound marketing can take your business to new heights of success, but it isn’t easy. In order to achieve the desired result, an inbound marketing effort must be strongly articulated, relevant, creative, persuasive, professional, and of course, highly visible. That’s where search engine optimization (SEO) comes into play. Even if your marketing resources are rock solid, they won’t do you much good if the public can’t find them. Strong inbound marketing requires not only passion and creativity, but also a healthy dose of tech savvy. If you want to benefit from a truly spectacular inbound marketing campaign, you will need a professional helping hand. 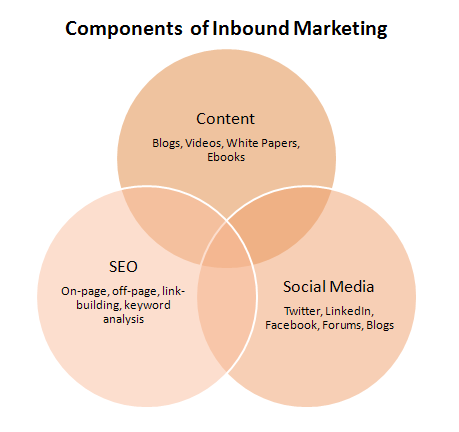 There are many variables associated with inbound marketing, and it’s a highly competitive game. An experienced company can help you to create the kinds of custom, professional marketing materials that will appeal to your ideal target customer base while also driving traffic and converting into real sales. When choosing an inbound marketing company, though, make sure to do your homework. Ask to see examples of the kind of work the company has done, and learn specific details about the company’s successes – or lack thereof. Don’t be afraid to ask questions, and find out as much information as you can. If you’re ready to take your marketing efforts to the next level, give Coalition Technologies a call. Our professional marketers boast decades of combined experience, and our full-time SEO experts will ensure that none of your marketing efforts remain under the radar. We have helped some of the nation’s leading corporations to increase and even multiply their traffic and sales, but we excel in aiding small businesses as well. Check out our portfolio, and give us a call at 1-888-800-9101 to receive a free quote. My first blog post – random post about a girl with a boyfriend hitting on my buddy Nick. Pretty funny stuff. Reading this is crazy – that guy was a whole different person from who I am now. Are you interested in learning how to get more web design leads? You have come to the right place! I am the owner of CoalitionTechnologies.com and am looking for great web designers and developers who want to get some leads. We are currently overwhelmed with the volume of leads we get. If you contact me by leaving a blog comment, I will get in touch with you about how you can qualify to get leads from us. We want to thoroughly vet anyone we recommend so please leave your name & email so I can get in touch with you to get you web design leads.